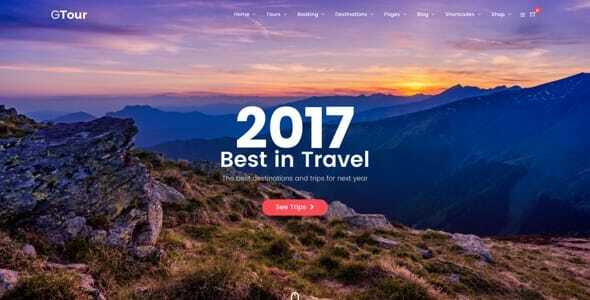 20+ predesign templates for tour & destination. 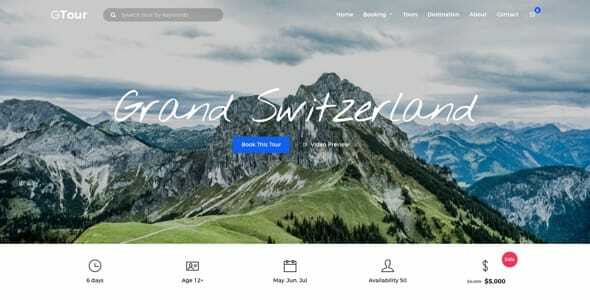 As uniquely showing your tour information are very crucial, we focus on creating the various predesign templates of tour & destination to match your styles. Moreover, simple steps are required to create with our pre-defined templates and content builder. Contact Form 7 Plugin When your customer complete booking form. It will send email to your setup email address. It’s very flexible and you can customise booking fields to anything you want. Woocommerce product When your customer complete booking form. It will add selected product to cart and your customer can checkout and pay using online payment options from Woocommerce. 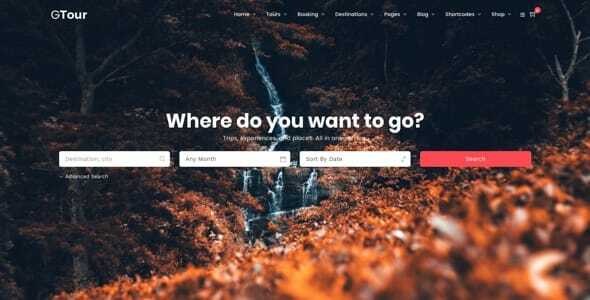 Custom URL When your customer complete booking form. It will redirect your customer to entered URL page. Tour Review Allow your customers to review tours from multiple views ex. valued to money, accommodation etc. This informations will help potentials customers make booking for your tour easier and more confidently. Various Payment Options WooCommerce comes bundled with the ability to accept major credit cards, PayPal, BACS (bank transfers), and cash on delivery. Advanced Tour Search Customers can search tours by ketwords, filter only tours which are available in selected month, also can sort by multiple options including date, price and tour name. MailChimp newsletter support Provide option for your customers to subscribe to mailing list so you can send them promotions, new tour other news & travel tips easily using mailChimp platform. Uniquely show your tours & destination using a variety of tour and destination layouts or built-in content builder. Tour The great way to display tour plan. 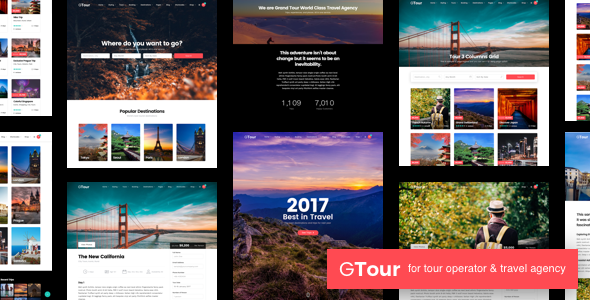 You can also customise tour header content between parallax background image and video contents to make it more interesting for your potential customers. It’s also support review options, map & location and image gallery. Destination Displaying cities & places information for example Paris, London etc. including text, image and video. You can also add related tours to each destination to increase booking conversion rate. Awesome 8 Predefined Styling Get your website working in short time with our pre-defined 8 demos layouts. Awesome 8 Predefined Colors Get your website working in short time with our pre-defined 8 demos colors. Share Tour to Social Networks Easily share tour page through major social networks sites including Facebook, Twitter etc. 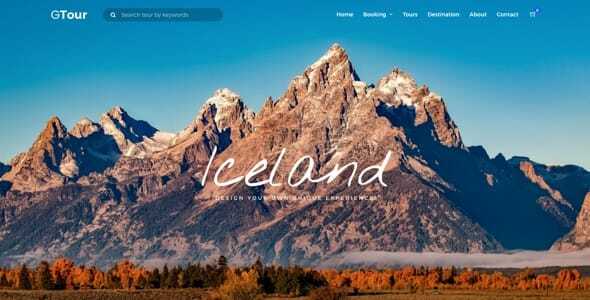 Drag & Drop Content Builder Create your multiple layouts in a single page without touching theme code by dragging and dropping our various pre-defined content modules including tour, destination, gallery, blog, testimonials and etc. Let’s try the powerful built-in builder. Easily sort gallery images by drag&drop. 5 color skins of lightbox can be applied for lightbox. Widgets We provided a variety of custom widgets to make your life easier including Custom About Me, Custom Category Posts, Custom Flickr, Custom Instagram, Custom Map, Custom Menu, Custom Popular Posts, Custom Recent Posts, Custom Social Profiles, Custom Tour. Just drag and drop custom widgets to activate and configure in any sidebars you build. Display various tour attribute including number of days, minimum age, tour month, availability, price, discount price, booking method, departure location, departure time, what’s included and not included, map address, gallery. Specify Youtube or Vimeo Video ID in case you selected header content type as video. All 8 Page layouts can have left or right sidebar or be full width.